Wouldn’t it be incredible if we could see into our prospective customers’ minds to find out what they want from us, whether or not they’ve already looked at competitors’ alternatives, and how serious they are about buying a particular product or service? The role of the salesperson would become so much more efficient. Marketers could deliver answers to important customer questions and responses to their objections before the words were even uttered. The great news is that by putting some systems in place to track and segment prospective customer leads, you can create simple lead-nurturing processes that allow you to essentially follow your prospects through their information-gathering and decision-making steps. Imagine a local shoe retailer with a single retail location and a simple online store who wants to segment customers to find the most profitable types. 1. Identify your core customer types. The retailer’s core audiences are young adult males who buy sneakers, avid runners of both genders, new moms who buy baby shoes and gift-givers, who buy warm slippers only during the holiday season to gift-givers. These different audiences are not going to be swayed by the same messaging or images. 2. Organize your website and retail store into a series of buyer funnels. To start streamlining and testing offers and messaging, in order to see what appeals to each audience, it’s important to start building marketing funnels into the sales process. In an online store, this is pretty straightforward: Once a person chooses “running shoes,” they can be shown all styles of these, quality reviews and data on which styles improve performance or reduce foot pain. When they get to the checkout, you can present them with options to add on athletic socks and a water bottle, and to join your online runners’ club. In-store, you want to think about the placement of displays, what options are available to people alongside their choices, and salespeople should be knowledgeable on the quality factors and online runners’ club opportunities, to offer additional paths that will keep buyers coming back to you. 3. Set specific calls to action and track them. Want to know whether discounts, free shipping or gift wrapping appeal to each unique core customer group? Simply add trackable call-to-action buttons to your website and monitor them. Free tracking tools like Google Analytics allow you to do this with moderate customization, and subscription-based tools such as HubSpot offer all-in-one solutions with minimal time or labor involvement. 4. Organize customers into segmented lists based on their actions. The call-to-action buttons and forms can immediately push information to a database where you can monitor the actions taken by your customers. At this point, you may have a list of “runners who have purchased two pairs in the past year, runners who are 30 percent more likely to buy with a coupon and runners active in the online running club,” within the runners’ category alone. 5. Market to customers based on their actions and push appropriate messages to them. Now that you have your lists of customers segmented by their specific interests, you can start marketing to them based on what they are most likely to respond to. For instance, you can send email coupons each month to “runners who are 30 percent more likely to buy with a coupon,” while sending “free shipping and gift wrap this week only” to the gift-givers. Since you’ve developed a strong contact list from the retail store, the online store and the runners’ club registrations, you have enough information to reach new customers who share similar traits with your best customers. How? Enter remarketing, an online advertising opportunity to reach people who have expressed some interest in a product or service. Simply install a tracking code on your website, set up an online advertising campaign, and set it to target people who have been to your website. You can go even further and target different ads to people based on which page they visited. With lookalike audience targeting, you can take your list of existing, past and prospective customers, upload them to an online advertising platform such as Facebook ads’ lookalike audiences, and your ads will be shown to other people who share similar traits with your best customers. Lastly, friends of your customers are likely your best future customers. Creating a rewards program to incentivize customers who share your products and offers with others will allow you to reach those new audiences without any effort on your part. 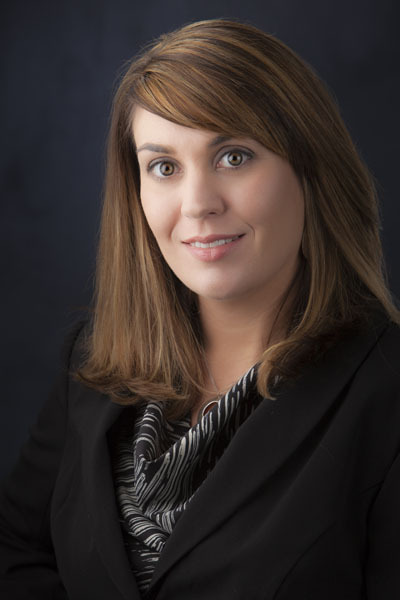 Melissa Albano-Davis, principal of Grapevine Marketing, can be reached at 603-685-4782 x101 or through grapevinemktg.com.